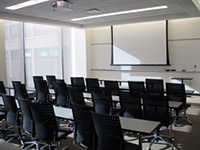 Please email msb_room_reservations@mailplus.wisc.edu to reserve rooms. Reservations for rooms in MSB are not available outside of normal business hours (Monday-Friday from 7:45 to 4:30). This room seats 12 people comfortably, extra chairs are available. It has a large LCD with HDMI/VGA inputs. 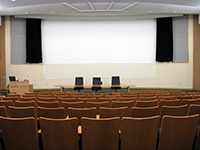 The Ebling Auditorium seats 450 people and is equipped with an AV system that includes a data projector, document camera, and sound system with wireless microphones. 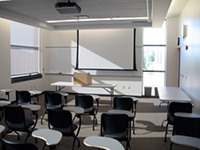 Classes can not be scheduled in this room. With the exception of water, food and drinks are not allowed in this room. 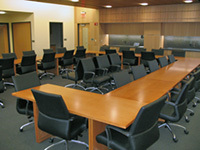 This room seats 40 people in student-style desks with fold-down tabletops. This room seats 40 people. There are 4 rows of movable chairs and stationary tables. 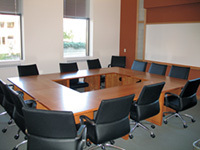 If you move these tables, you must return the room to its original configuration of 4 rows. Faculty meetings have top priority in this room. The room seats 36 people comfortably and is equipped with a projector, document camera and Bluray player.